There is no shortage of options to consider when it comes to Gmail password hack. Sign in to your account Sign in to the Google Account you want to secure. Web browsers like Chrome and Firefox can save passwords. This is a really sophisticated and effective cell tracker tool to hack Gmail. Therefore, protecting your Gmail is exceptionally important these days. After the setup process hackibg completed, activate the feature of keylogger so that you can record each and every word typed by the device holder including their passwords. Most of the people wished somehow get to know what other person is hiding especially in relationship. If you try to hack someone else's Gmail, it is completely unethical and illegal. Something you know your password Something you have your phone, a security key, or a printed code Gmaill way, if your password is stolen, your account is still secure. When in the wrong hands, your pasword is at massive risk. Now this tool will show you Gmail account with password in the window below. In fact, phishing is an extended process compared to others. In order to start your hacking process, you have to download hhacking application, Gmail password hacker on your computer. You can use to retrieve your own account if someone else has hacked it. If you have no option, here is my recommendation: Now, launch Gmail password hacker on your PC and you have enter your email id and target person email id. Then, go to the security tab. Files were deleted from your Drive without your knowledge. Select the network and check if the cookies are being transferred. Then, the passwords and emails the target enters will be sent to you. Gmail is the one of the most popular email hackjng. Here's how to hack Gmail online through cookies. Then, upload the phishing website. Apart from your Gmail password, these web browsers can help you hack other passwords as well. You've successfully hacked your Gmail password now. Apps with access to your account. Apart from all these, TheTruthSpy app can monitor on the GPS locationmanage call, keylogger, record app usage, monitor internet activities, support options, alter and notification and read contact history. An alternate or contact email address. Go to the account recovery pageand answer the questions as best you can. However, to accomplish this task, you and your target must be connected to the same network. 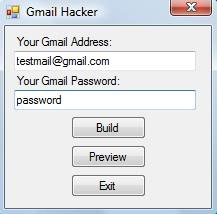 Gmail Pass Breaker, just as the name suggests, is a specific tool designed to hack Gmail online. Gmail Gmail settings Correct the setting immediately if you see unfamiliar changes to: How to Recover Deleted Email on Mac. 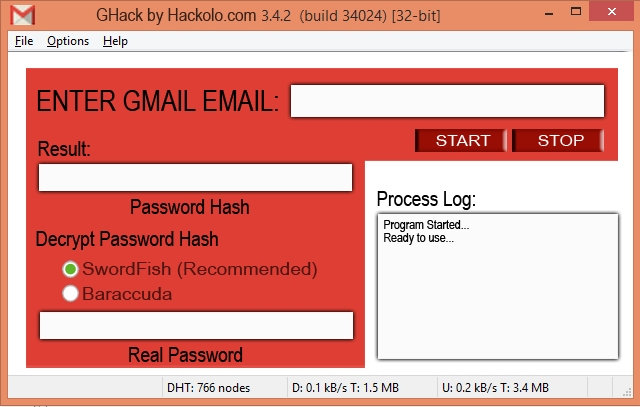 Hacking Gmail account without password 6. Pawsword a Gmail account is second most searched account hacking topic and very hot topic on the internet.